The Raiders Drum and Bugle Corps was founded in 1990 by George Lavelle, Jr. with George Lavelle Sr., Trent Smith, Clarence Jackson, and Anthony Bestreski joining as members of the initial board of directors. The intent was to provide the opportunity for young people to march in a highly competitive drum corps at an economical cost. After a year of planning and preparation, the Raiders took the field on June 22, 1991 with a corps of 25 members, defeating two of the other three Division II/III corps in the show. Marching a schedule of local DCI and Garden State Circuit (GSC) shows, the Raiders finished the season by taking second place in the GSC. It its second season, the corps nearly doubled in size and included a tour to Ohio, Iowa, and the DCI Division III Championship prelims in Whitewater, Wisconsin, where the corps placed 19th among 29 corps. In 1993, the corps again grew in numbers and moved to Division II. The Raiders won the first of seven GSC titles that year and finished 15th of 15 corps at DCI Division II Championships in Jackson, Mississippi. The corps marched DII only two more years, finishing placing 14th of 18 corps at DCI in Lowell, Massachusetts in 1994 and 11th of 13 corps at DCI in Buffalo, New York in 1995. In 1996, the corps moved to Division III, and placed 7th of 31 corps at the DCI Division III Championships in Orlando, Florida. Over the following eleven years, the Raiders would make the DCI DIII Finals nine times and, in 2005, win the DCI Division III World Championship. 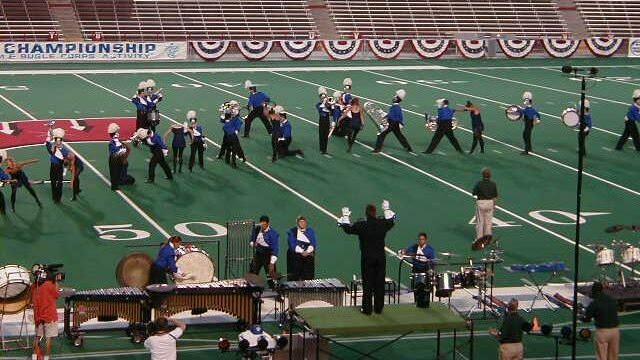 In 2007, the Raiders moved back to Division II, placing 6th at the DCI Championships in Pasadena, California. 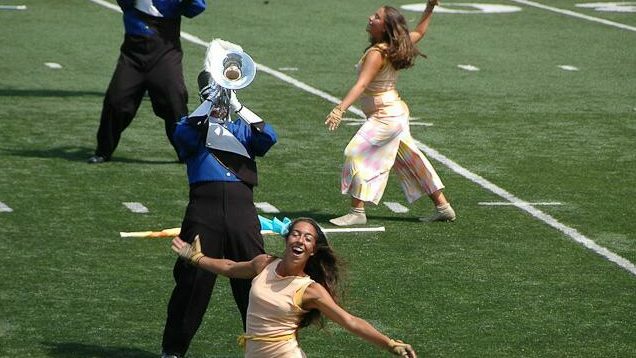 DCI combined Divisions II and III into Open Class in 2007, and the corps continues to be competitive in Open Class today, attracting membership from throughout the United States and the world. Many alumni love to stay involved with the current edition of the corps. Volunteer to help our members have an amazing experience with drum corps. You can stop by for a few hours, a weekend, or part of our tour. Contact us today to be a part of this season’s excitement! Join our Raiders alumni community on Facebook.